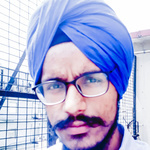 Hi, My name is Jagpreet singh. I provide translation services in English- French and French-English both pair in the domains such as Finance , Marketing, Legal , General. I have...Read moreHi, My name is Jagpreet singh. I provide translation services in English- French and French-English both pair in the domains such as Finance , Marketing, Legal , General. I have around 2 years of translation experience in diverse fields working with both domestic and foreign clients. As far as Education is concerned i have completed Diploma in French followed by Advanced Diploma in French from one of the best Government recognized university of India. times so that the quality of text is retained. (ii) Working on only one project at a time. (iii) Provide the complete work within the given deadline.